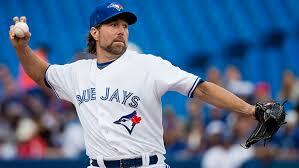 MLB Blog: Blue Jays Rotation...is this it ? TORONTO - The Blue Jays have the following as starting pitcher options for 2016. All things staying the same, it looks like Hutch or Chavez will compete for the 5th spot. There are a couple of Minor league options in Brad Penny and Wade Leblanc that might be considered earlier than later. I'm still hoping for a trade, but more than likely we'll see additional middle relief where in my opinion; the Jays need more than starters.